This week we travelled Camiguin – Bohol with Super Shuttle Ferry 21. The ferry’s schedule is unchanged Monday, Wednesday and Friday. This schedule seems to be maintained until end of January 2017. But it might be changed without prior notice. We strongly recommend to call one of the above numbers to make sure that the ferry is sailing when you need it. In Jagna you should call 0916 568 2236. Click on the above picture to enlarge it for better readability. This article had been created with 100% solar energy because we have an all day brown-out today in Camiguin. Just want to ask if available pa rin ung byahe from jagna to balbagon next month december 2016? Still Mon, Wed, And Fri.
Fares around 4,000 for the car and driver. About 480 per pax. What about going home from camiguin? Ano po ung mga options? Thursday po ung uwi namin eh. hello po, may daily na po byahe from camiguin to jagna?on January 1st week to 2nd week of 2017 may byahe po? It isn’t possible to book in advance, even in the evening before the trip you’re told to come early next morning. Our today’s inquiry shows that the ferry is operating every day as scheduled. But have an eye on the weather. Winter depressions can make the sea rough and keep the ferry in port. It leaves Balbagon at 8:00 a.m.
From Jagna it leaves at 1:00 p.m. Yesterday and today no ferry because of high waives. We’re planning to go to Camiguin this Sunday; so I guess it’s best that we call the port before leaving CDO on the day itself. May we know of any contacts/phone numbers in Balingoan and/or Benoni ports to know if trips are cancelled for the day? Or will the coast guard office (http://www.coastguard.gov.ph/index.php/districts/cgd-northern-mindanao) suffice? There are no problems with the Balingoan – Benoni route. Ferries sail from 05:30 a.m. to around 5:00 p.m.
Only last Tuesday the waves had been too high. About 10 feet is too much for this coastal ferries. But be careful on the road. A truck driver who came from CdO told me yesterday, that there were some smaller landslides. I would expect more than the usual 2 hours from CdO to Balingoan. Noted on your reply. My tour contacts have been telling me that they’re still running business as usual, and we’ve spent a chunk of money in downpayments and stuff so we can’t simply let go with those unless going there would entail more risks. So I guess I’ll have to rely from the weather forecasts moving forward and adjust our schedules. I need to go from Camiguin to Bohol on April 12th, during Holy Week. is there any way to book in advance? or only to hope i will be lucky to find a seat? Here in the Philippines one never knows what happens tomorrow. Super Shuttle Ferry is a bit complicated. You can’t book trips in Camiguin even the day before. They say: “Come early tomorrow morning”. The Camiguin – Bohol ferry is usually not fully booked. If you travel without a car, then you almost surely get a ticket. With a car it can get tight around Easter, Lanzones festival and Christmas. Is the boat between Camiguin and Jagna still running? Yes it is still running at the usual schedules. Please see below. But in the last 3 weeks we often had high waves. SO the ferry could only sail 2 or 3 times a week. Please check weather forecast before traveling. Thanks! We will certainly do that! Does the ferry still operate daily in November 2017? Currently the ferry is sailing only Mon, Wed and Fri. When there should come a change in schedule, I’ll post it here and elsewhere. This is a blog in English language. OK? But to help you, there should be a ferry on November 1 because it’s a Wednesday. To make sure, we recommend to call one of the phone numbers presented in above article. Good day! Will the ferry still operate mid april 2017? DOES THE FERRY OPERATE NOW ? Is there a ferry during Christmas day and New Year’s Eve?! Is the fare still the same?! I’m planning on going to Camiguin January 3,2018 from Jagna, Bohol. Please call one of the phone numbers below. There you get the official answer of Super Shuttle staff. May I ask how we book, is it by going directly, or by phone ? Does the ferry operates until now ? 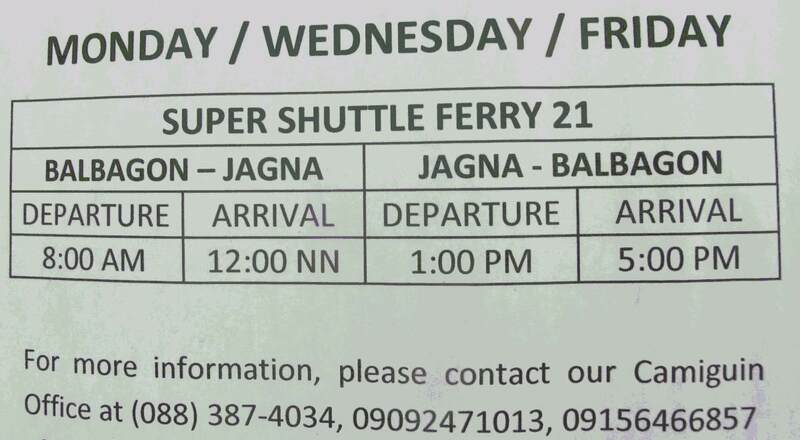 Yes, the ferry from Camiguin to Jagna and vise versa is still operating on Mon, Wed, Fri and Sat. Do you know if ferry will operate on 30th of march friday (but it is a public holiday on Philippines – Good Friday, Easter). 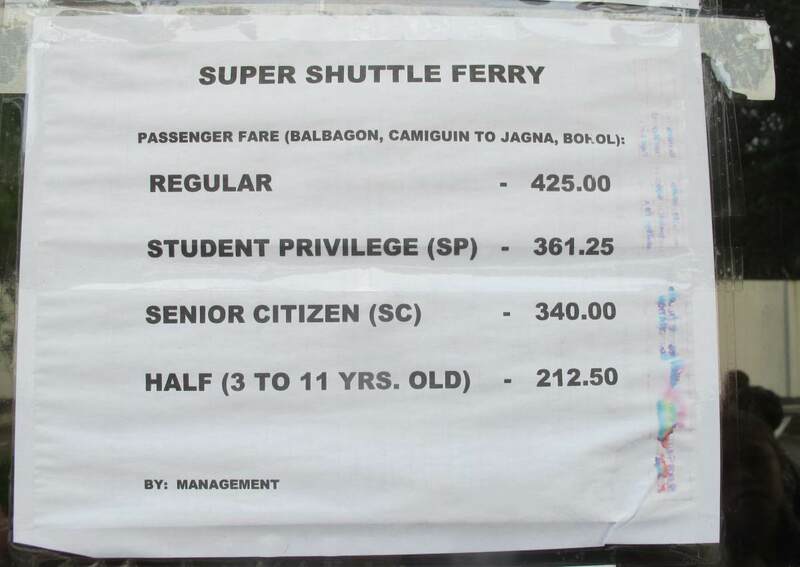 Super Shuttle Ferry has currently 6 ferries on Camiguin island. 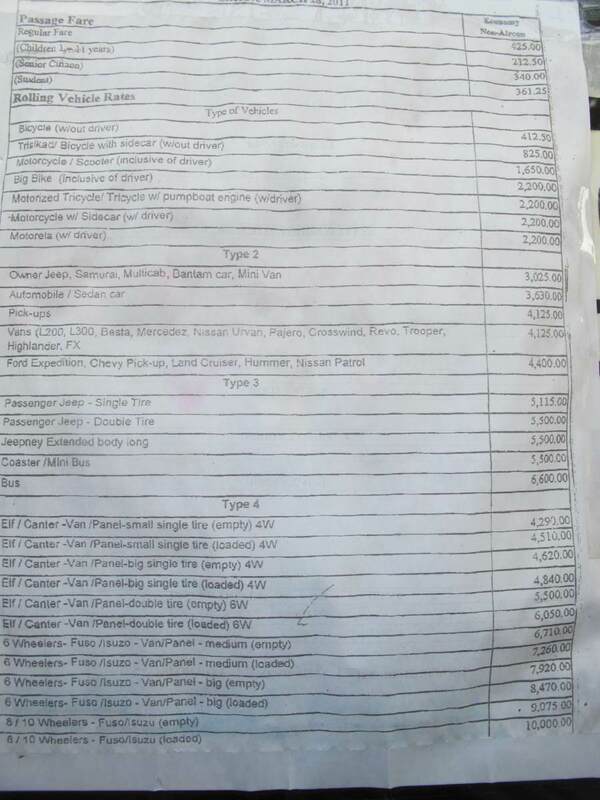 So it is very probable that the Bo.hol – Camiguin ferry will operate during Holy Week. Hello tanong ko lang may biyahi pa ba everyday from jagna to camiguin ?..or sa march 15? Does the ferry between Camiguin and Jagna and vise versa is still operating on Mon, Wed, Fri and Sat.? Currently the ferry is operating every day. Next story Two typhoons and 200 cancelled flights – what a mess!